for 2Day FM, which he took earlier this year alongside Ed Kavalee and Em Rusciano, Denyer said he was sad to see the show finish up. “It’s a bit sad. It’s been a huge success for Network Ten. It obviously reinvigorated that 6pm time slot, which was dead for about five years and it increased all the night-time programming so it boosted all the shows after it," he said. Denyer also admitted he felt the show "squeezed the lemon too much", running the program too often. “It did good things but we're probably guilty, if anything, of driving it into the ground a bit too early. We gave it a bit too much. It’s six days a week, twice a day, plus All Star episodes," he said. Denyer added he was working on other “big new projects”, but didn't reveal his next role. A spokesperson for Ten confirmed the show has been cancelled. 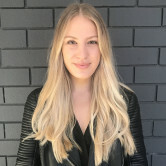 “Family Feud has been an important part of our schedule for the past four years, but we feel it is time to rest the show," a spokesperson told AdNews. Host Grant Denyer has confirmed Ten’s Family Feud will be cancelled after four years on air. The news follows reports that Ten has halted production of Family Feud and is in the midst of casting for a new quiz show. 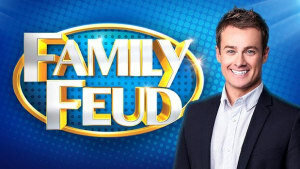 Family Feud failed to hold a competitive audience share of late, with recent figures showing it trails behind Channel Nine's Hot Seat and Channel Seven's The Chase. Speaking in his new breakfast radio role for 2Day FM, which he took earlier this year alongside Ed Kavalee and Em Rusciano, Denyer said he was sad to see the show finish up.